Ginkgo (Ginkgo Biloba) contains antioxidants that optimizes blood flow to the brain, improves cognition, reduces stress, combats anxiety, improves memory and concentration. Onlinestrength analyzed 14 best-selling Ginkgo Biloba supplements in the United States. Our analysis quantified levels of ginkgo leaf extract, standardized ginkgo-flavone glycosides extract, levels of toxic ginkgolic acid, and alkylphenol constituents. 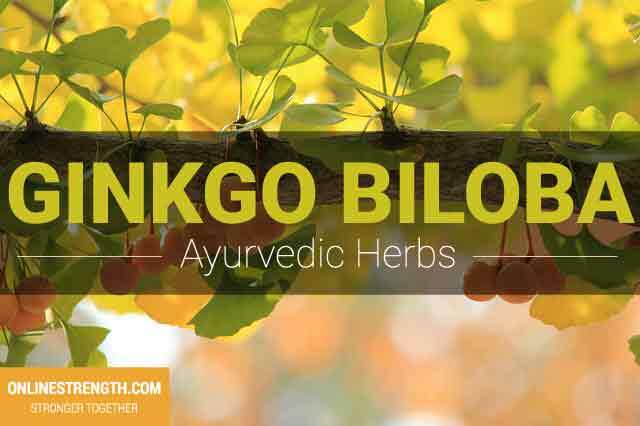 Ginkgo biloba leaf extract should measure between 120 – 240 mg leaf extract and should contain 24% ginkgo-flavone glycosides to be deemed effective. Samples of every Ginkgo biloba supplement passed ingredient quality standards. Products received reduced quality and ingredient ratings for the presence of key watchlist ingredients including, preservatives, gelatin capsules, binders, and filler ingredients. Products that contained organic, non-GMO ginkgo biloba, used vegetarian capsules with little to no preservatives, and dosed effectively were ranked higher. Ginkgo naturally contains anti-oxidant nutrients that help optimize blood flow to the brain which in return aids cognition, concentration, focus, motivation, speed of thinking, memory, and mood. Research shows that ginkgo may help individuals with dementia and may help improve symptoms of Alzheimers. One research study conducted showed that ginkgo can help reduce symptoms of anxiety. Overall Ginkgo is used for its ability to help improve brain function which leads to benefits such as improved memory, less anxiety, more concentration, focus, and reaction time. The ginkgo is the oldest surviving species of tree dating back almost 300 million years. There are a few ginkgo trees around the world today that are thousands of years old. With well over 400 scientific publications, Ginkgo is one of the most researched herbal supplements in the world. Standard dosage of ginkgo: 40 – 80 mg of ginkgo leaf extract containing 24% ginkgo-flavone glycosides three times daily. Total daily intake: 120 mg – 240 mg.
Gingko biloba should be taken with meals.